Are You Working Safely On Hot Days? Happy Memorial Day from the Attorneys at Pyrros & Serres! 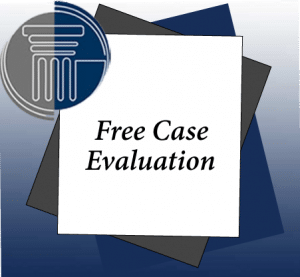 Can I Appeal A Social Security Disability Claim? Did You Know That Workers’ Compensation is a No-Fault Based System? Do You Have A Case For Compensation? Does Carpal Tunnel Syndrome Qualify for Workers’ Compensation? Does Prior Injury Affect Your Workers Compensation Case? Does Workers Compensation Cover Repetitive Stress Injuries? Does Workers’ Compensation Cover Accidents While Traveling To Work? Happy Thanksgiving from Pyrros & Serres LLP! Happy Holidays from Pyrros & Serres, LLP! How Do You Qualify for Social Security Disability? Hurt at work? Let us help! Happy Memorial Day from Pyrros & Serres LLP! How Can You Celebrate a Safe Halloween in the Workplace? What Does Social Security Disability Mean? What Happens at a Workers’ Compensation Hearing? What is the Difference Between Personal Injury & Workers’ Compensation? What Is the Social Security Disability Process? What Questions Should You Ask Your Social Security Disability Attorney? Happy Thanksgiving from Pyrros & Serres! Happy Holidays from Pyrros & Serres LLP! When Can You File Your Social Security Disability Benefits Claim? Why You Should Hire A Workers’ Compensation Attorney? You’ve Been Denied Workers’ Compensation — Now What?